It’s Ladies Day on Under The Crossbones! 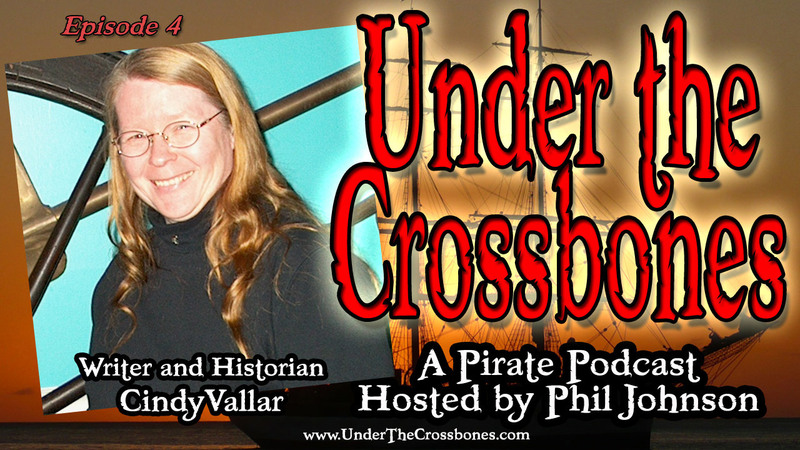 My guest on this episode is pirate author and historian, Cindy Vallar. Her website is a treasure trove of ways to waste your work hours reading about pirates instead of getting stuff done. We’ll get deep on pirates… Why weren’t there more mutinies? What about Viking pirates? Oh yeah, there were. We also talk about the craft of writing and how Cindy used writing to relax after her day job of working with emotionally challenged teens. And ending today’s show is killer comedy from Sandra Risser and a great song called “So Sweet” by Monica Marquis. Be sure to pick up Cindy’s books on Amazon and Monica’s album. Clicking through here gets me a little commission and helps support the show. Thanks for listening. Tell your piratey friends about it. The show will be up on iTunes in mid-September. Until then you can subscribe here.